Cyril Viennot is in 6th - 7:51 behind. The gap is 1:45 to Yvonne van Vlerken. Sarissa De Vries is a new name on the IRONMAN-distance, but the 26-year old has a long-term realtionship to professional triathlon. She was runner-up at the NED national championship on the Olympic-distance and took the win at the 2012 Geneva ITU Triathlon European Cup. 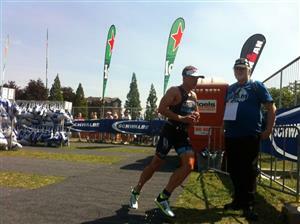 Bas Diederen is still in the mix: At half way of the bike he is in the group again. It's getting close in women's pro race: Through 91 km Yvonne van Vlerken is only 20 seconds behind Sarissa De Vries. 60 kilometers to go on the bike for the lead group: Martijn Dekker is still at the front together with Oude Bennink, Casadei, Brydenbach and Diederen. Two minutes! Yvonne van Vlerken has opened up a gap on Sarissa De Vries. They have passed the timing at Km 120. Flying Dutchman: Bas Diederen is on fire. He has opened up a gap of about 4 minutes. The former lead group is not a group anymore. Diederen has divided the group of five in four parts. 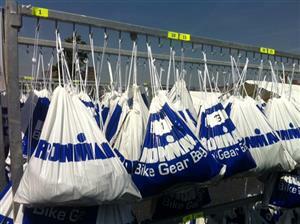 Here he comes: Bas Diederen makes ready for the marathon. Off the bike in a few moments. 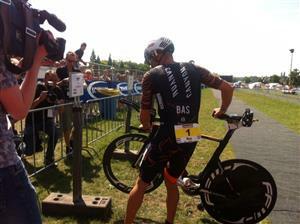 4:43:34 bike split for Bas Diederen. 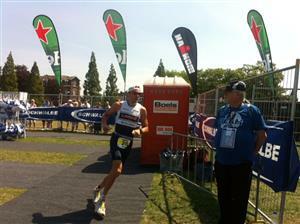 Mark Oude Bennink reaches transition in second place - he is 4:57 behind. 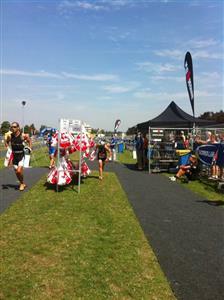 Tim Brydenbach and Alberto Casadei are in T2 - 8:14 behind the lead. With less than 20 km to go Yvonne Van Vlerken has a lead of 4:25 over Sarissa De Vries. 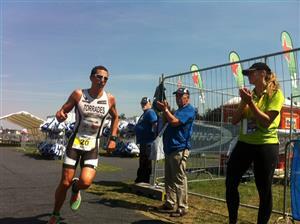 Alberto Casadei has moved into third on the first three kilometers. 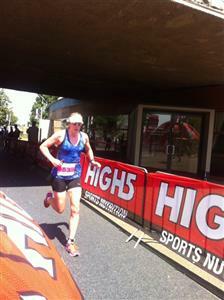 He is 8:14 behind the lead and 18 seconds in front of Tim Brydenbach now. 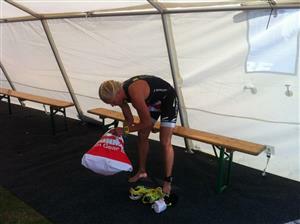 Martijn Dekker seems to be out of the race. He finished the bike, but he did not start onto the run course. 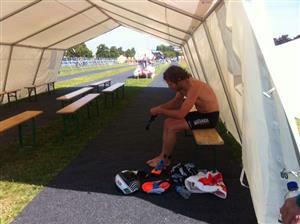 Very solid run speed, Bas Diederen: Through 7 Km his lead is still 5 minutes. 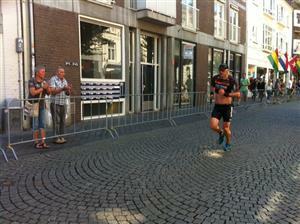 Through 17 km of the run the gap is 5:19 between Bas Diederen and his team mate Mark Oude Bennink.